“Fantasy Baseball for Smart People: How to Use Math and Psychology to Win at DFS” by Jonathan Bales provides readers with the insights and strategy needed to compete with daily fantasy baseball’s elite. BEVERLY, Mass., Mar. 24, 2017 –There’s been a shift in the DFS industry; more than ever, top players are utilizing game theory, psychology, and advanced modeling to predict player performance and ownership in order to find an edge. In Fantasy Baseball for Smart People: How to Use Math and Psychology to Win at DFS, readers have access to all of the latest daily fantasy baseball data — performance analytics, ownership percentages, and more — as well as simple ways to implement the numbers and exploit public biases to make money. Author, and FantasyLabs co-founder, Jonathan Bales, has released the 19th installment of his Fantasy Sports for Smart People series. Fantasy Baseball for Smart People: How to Use Math and Psychology to Win at DFS is now available on Amazon.com and FantasyFootballDrafting.com. 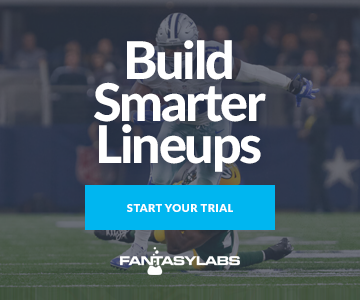 FantasyLabs provides daily fantasy sports players with proprietary data and tools to test theories, quickly create and backtest models, and ultimately construct profitable DFS lineups. For more information, visit www.fantasylabs.com.